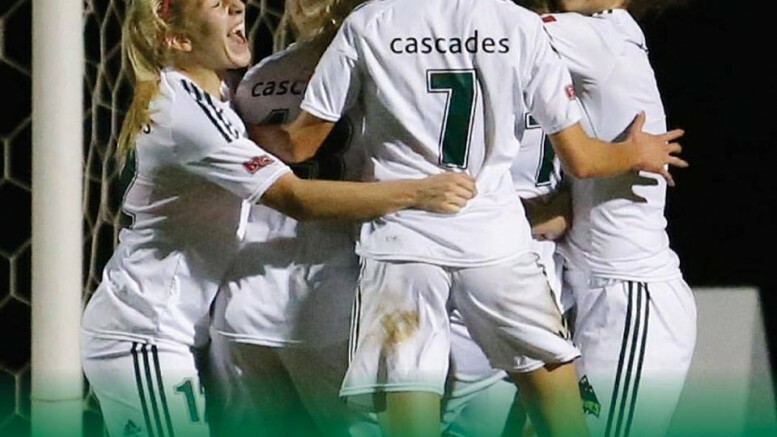 Langley (Dan Kinvig, UFV Athletics) – Janelle Henke’s goal in the 84th minute lifted the University of the Fraser Valley Cascades to a 1-0 victory over the Lethbridge Pronghorns in the opening game of the Canada West women’s soccer playoffs on Thursday evening. With fog rising from the pitch at Chase Office Field lending a dramatic air to the proceedings, the Cascades had the lion’s share of possession and scoring chances, but were unable to break through until rookie midfielder Henke struck in the dying minutes. On the pivotal play, UFV’s Karlee Pedersen – a dynamic presence at left back all night long – sent a cross into the box. The ball took a bounce in front of Henke, and the Surrey, B.C. product rose to nod it over onrushing Pronghorns goalkeeper Micaela Stone. The Cascades’ first playoff win since 2014 sets them up for a Canada West quarter-final match-up with the host Trinity Western Spartans on Saturday (5 p.m., Chase Office Field, CanadaWest.tv). “It’s playoff soccer, and you see it so often when a team is dominant territorially,” UFV head coach Ro Giesbrecht said. “You’ve just got to stay at it, and the chance is going to come. The Pronghorns had defeated the Cascades 5-0 on Sept. 16 in Lethbridge, but the UFV side was healthier for Thursday’s rematch – Henke and Gurneet Dhaliwal, among others, hadn’t played in the earlier game due to injury. The Cascades were dangerous throughout the first half, building a 6-2 edge in shots and a 3-0 advantage on corners, but had nothing to show for it. Pedersen, in a bit of foreshadowing, sent a terrific through ball across to Henke in the opening minutes, but her shot was handled by Stone. Later on, Dhaliwal made a run down the left and beat a defender, but Stone snared her rising shot from a tight angle. And finally, Dhaliwal’s pass ahead to Henke had the rookie on a partial breakaway, but a Pronghorns defender came hustling back to knock the ball away just as Henke prepared to pull the trigger. Lethbridge’s best look at goal game in the 29th minute when Nikki Furukawa ventured into the box from the right, but her hard shot was right at Cascades keeper Emily Harold. Scoring chances were less plentiful after the break, with Henke’s decisive shot the lone official shot on goal. The Pronghorns were most dangerous off a couple of set pieces midway through the half, but the Cascades were able to clear the ball out of harm’s way. UFV thought they’d broken the ice in the 82nd minute when Gurneet Dhaliwal put the ball in off a scramble following a Cascades corner, but the linesman’s flag was in the air – she was offside. That set the stage for Henke, who finished Pedersen’s pass cleverly. Harold finished with two saves for the shutout. Saturday’s quarter-final between TWU and UFV marks the third clash between the two teams this month. The Spartans, ranked No. 5 in the nation, defeated the Cascades decisively in both regular-season match-ups, on Oct. 6 and Oct. 8. “It’s going to be fun,” Giesbrecht said. 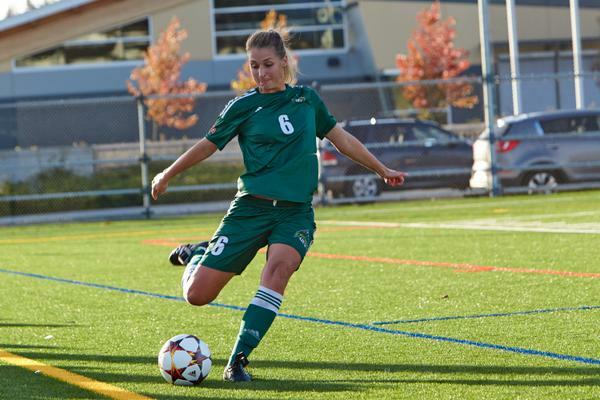 “It’s Canada West playoff soccer, and there’s no easy path to the Final Four. We’ve got to go through one of the perennial powers. What an opportunity to play a team for the third time, a team that’s given it to us pretty good twice, and a chance for us to test ourselves. 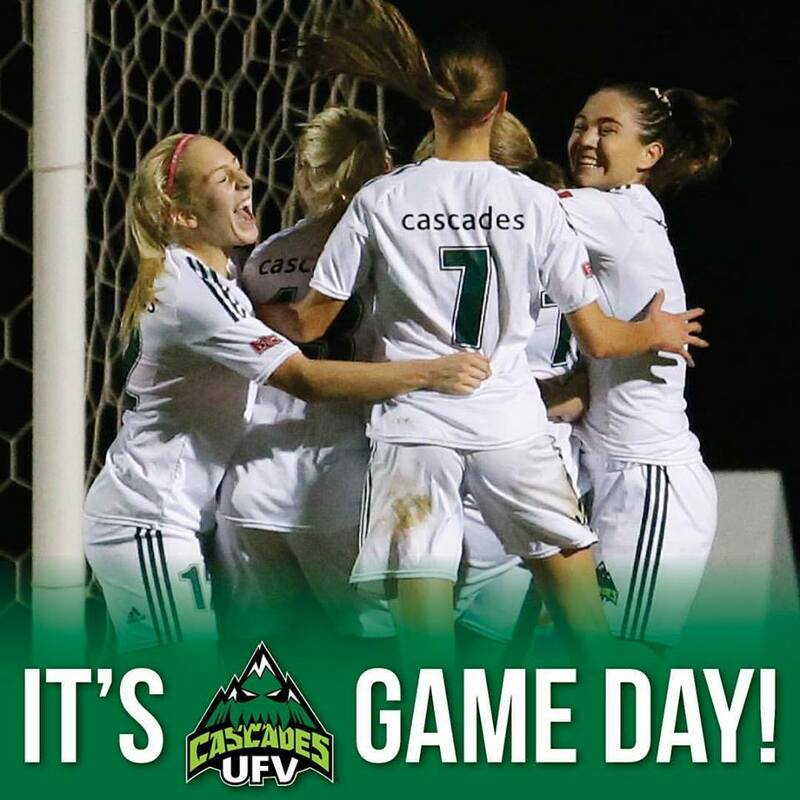 Be the first to comment on "UFV Sports Thursday – Women’s Soccer Playoff Win"